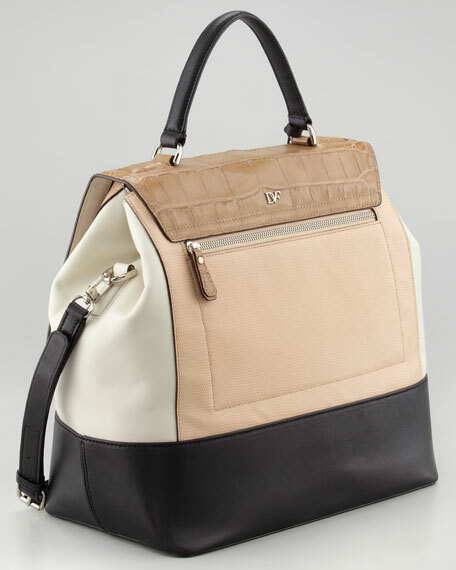 Structured, smooth calfskin shapes the Diane von Furstenberg 440 satchel with practicality, but the designer's signature spirited style shines through with a slightly retro silhouette and covetable colorblocking. Smooth calfskin with tonal topstitching and shiny, brassy hardware. 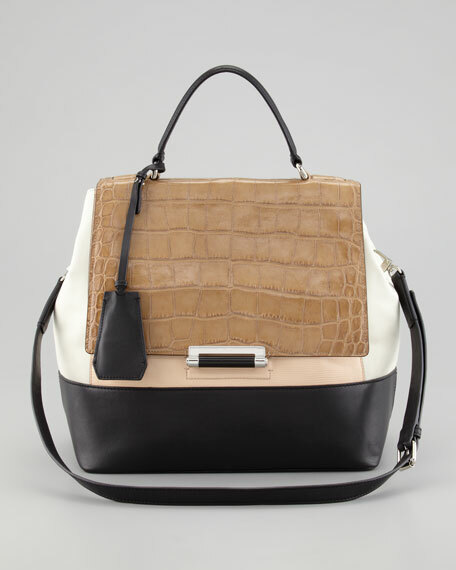 Flap top features enamel pinch-lock clasp and top handle; 4" drop. Removable, adjustable-buckled shoulder strap with 20" drop. Hanging, covered, signature DVF lip-shaped mirror. 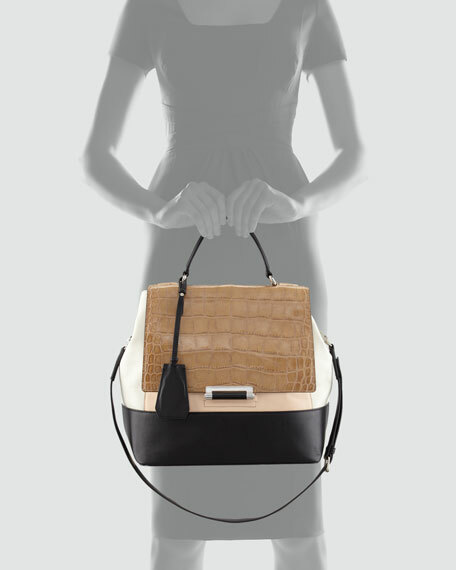 Reinforced bottom structures roomy satchel silhouette. 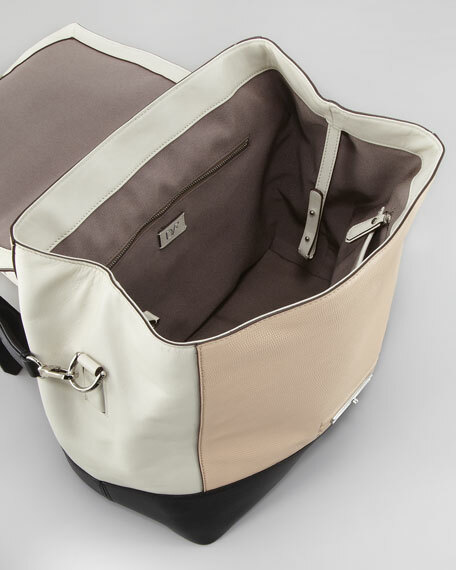 Canvas lining; two zip and two open pockets. Back exterior features metal logo letters and zip pocket. 11"W x 14"H x 5"D.
Belgian designer Diane von Furstenberg vaulted to the height of popularity in 1972 with her iconic silk jersey wrap dress. Lauded as a pioneer in feminist fashion, von Furstenberg reintroduced the wrap dress just before the turn of the century, only cementing her legendary status. Today the Diane von Furstenberg brand represents a full collection of women's ready-to-wear, jewelry, accessories, handbags, shoes, and even home decor.